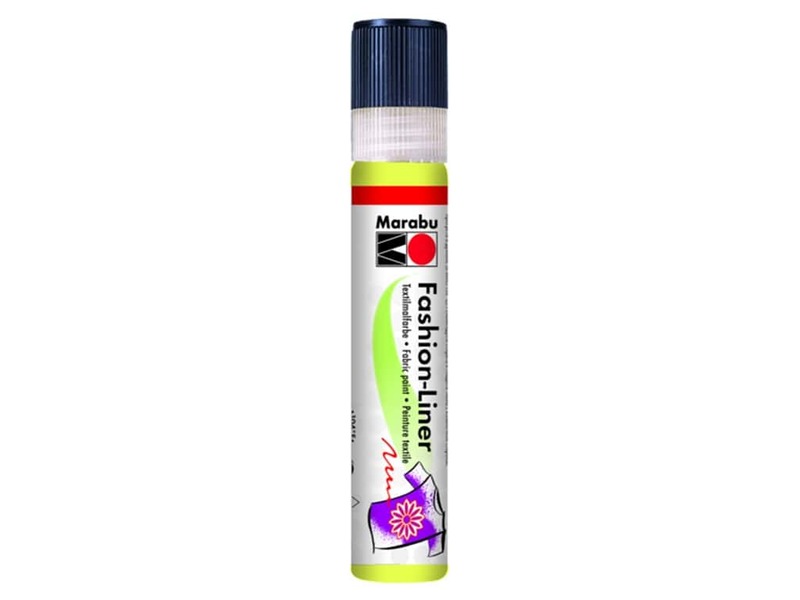 Description: Marabu Fashion Liner Fabric Paint is creamy, soft textile paint that will turn any garment into a unique piece. The odorless, light-fast, water-based paint is suitable for special highlights, embellishments and writing. All textiles with 20% man-made fibers can be embellished. After heat fixing textiles will be washable. 0.85 oz. Lemon. See more Marabu Fashion Liner Fab Paint.